The third part of Maximilian's "WEEK OF!" 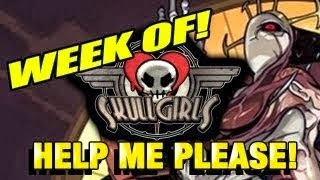 Skullgirls has arrived. Watch the continuation inside. Maximilian keeps on rolling with his "WEEK OF!" Skullgirls. This is part three and it's titled, "HELP ME!" It appears Max needs help. If you missed the first two parts, click here.